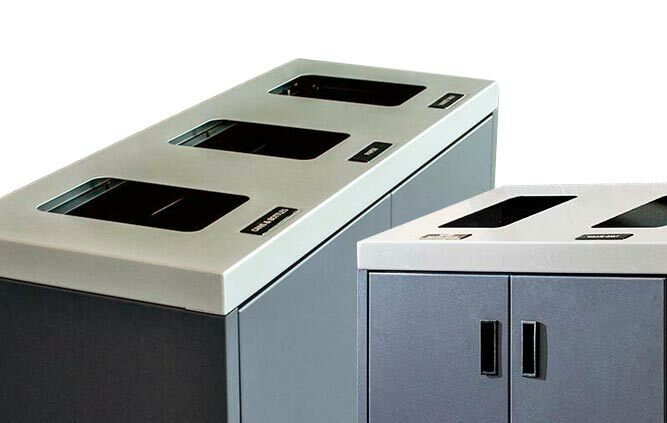 These Fiberglass recycling bins are available in double, triple and quad stream units. Their attractive finish makes them ideal for any boardroom, office, hallway, lunchroom or lobby. With a depth of only 15.5″ they are less bulky than other recycle containers. 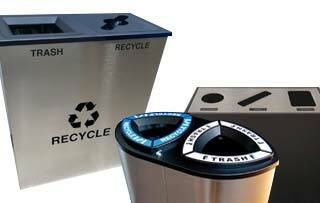 For a really smart look and more efficient waste diversion, each unit can be customized with your corporate logo or recycling message.